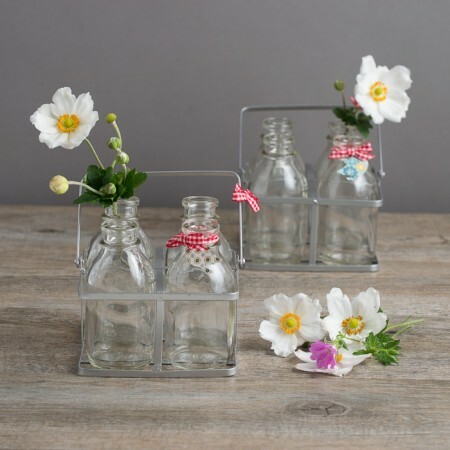 Three vintage style mini glass bottles held in a delightful metal basket and ready for you to fill with your own flowers from the garden. 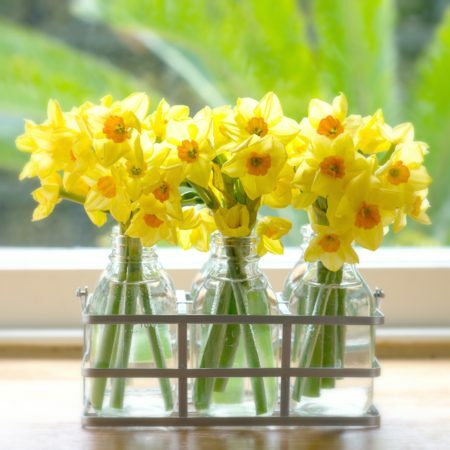 Right on trend, this is a beautiful and stylish gift or maybe it’s time to just treat yourself and brighten up your home. 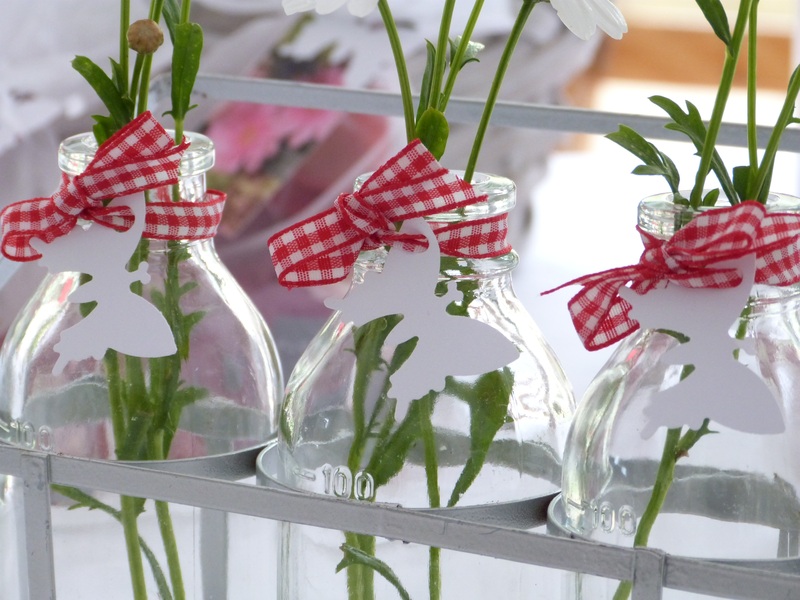 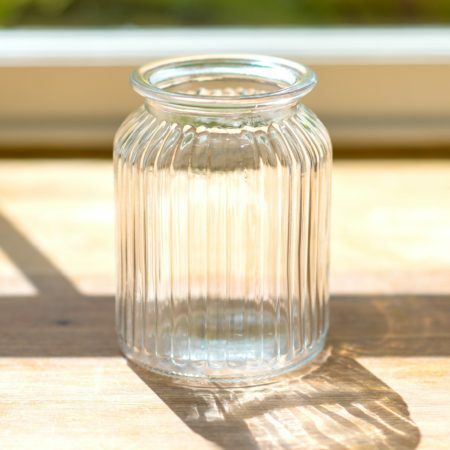 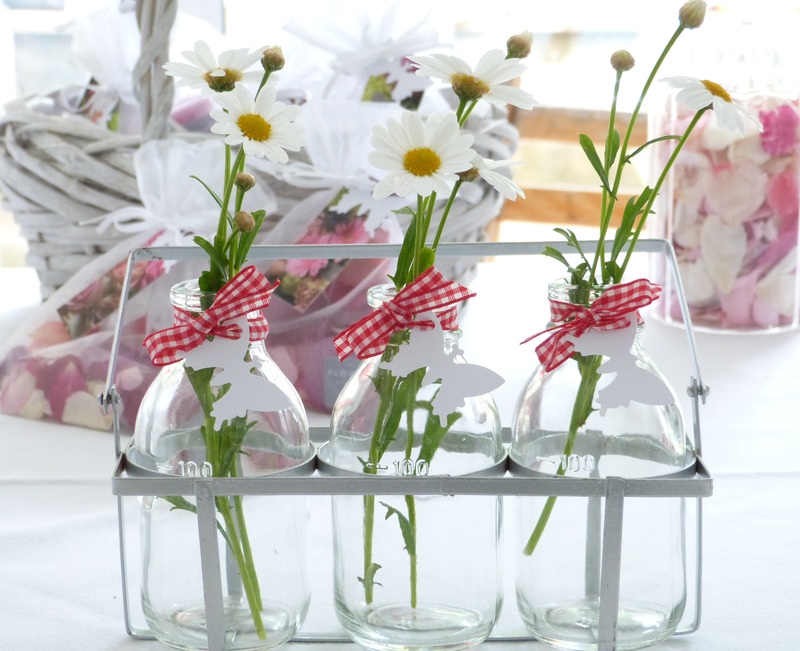 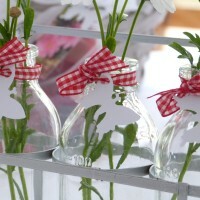 We have found these beautiful little glass bottles are a stunning wedding day table decoration filled with season flowers as a chic centrepiece. 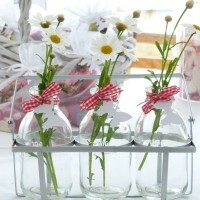 Metal Basket: 7cm Height and 13cm Length approx.